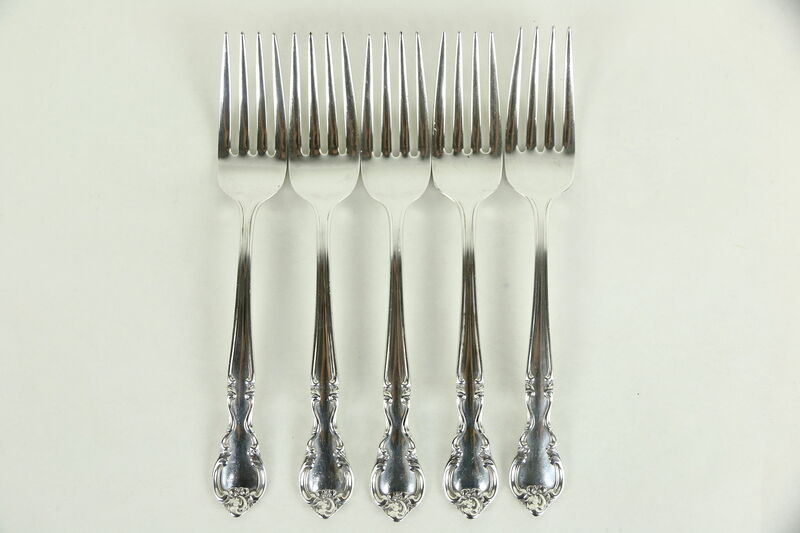 A set of 5 sterling silver salad forks are signed "Easterling" in the "American Classic" pattern. There is minor wear and scratches, see photos. These salad or dessert forks measure 6 3/4" long.